I am also cardio addict. I also love the idea of yoga. Although I know it’s good for me I find it super difficult to slow things down and just stretch. However, I can’t deny how great Yoga is for my body. Not that I am in the thick of marathon training, my body needs to be stretched and cared for more than ever! Yoga does two main things: builds strength and flexibility–those two things are crucial to becoming a better runner. I have compiled several expert resources that details which types of Yoga poses that are perfect for runners! 1) WalkRunJog Blog: They have a FULL guide of Yoga Resources for runners that is broken down by body parts for example abs/Achilles/shoulders etc. 2) There are tons of yoga for runners resources on YouTube as well! I searched through a lot of them but this one was my favorite because it was 20 minutes and easy to fit in on my off days. 3) Yoga For Runners: Live Love Surf. In case you didn’t know Christine is one of my favorite Brooklyn girls with the best Instagram photos EVER. She is a runner and a certified Yoga instructor and she shared THREE separate posts on Yoga For Runners! Check out Post 1, Post 2 and Post 3! 4) Yoga For Runners 10 Ways to Stretch and Strengthen: This post recommends these poses as a way of stretching post run or post race. There are both descriptive poses and embedded video poses. 5) Elle Fit Active: This one has a great set of Yoga poses and pictures from really good angles. Simple and to the point! How often do you Yoga? Schnelle "Nellie" Acevedo is a busy Brooklyn mom of three -- 2 boys aged 7 and 9 and a newborn baby girl. 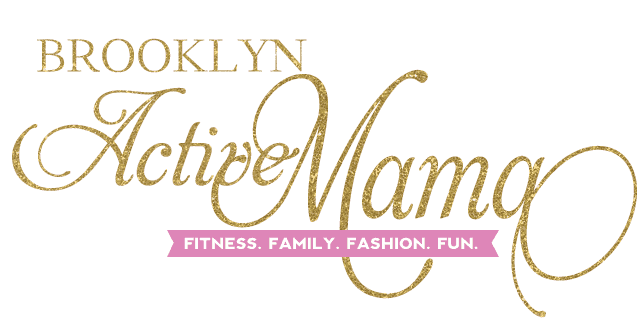 Brooklyn Active Mama is a body positive community that focuses on demonstrating to all women that you can always find time for fitness. In addition to fitness content, Nellie shares her parenting stories, NYC tales and travel adventures. A hopeless running addict, Nellie has completed 16 Half Marathons and two Full New York City Marathons in 2015 & 2016. Nellie left Corporate America in 2016 to become an Entrepreneur and create her own startup Social Media Management Agency, BAM Digital Media LLC. You can find Nellie on Twitter, Instagram, Facebook, Pinterest, Periscope, Snapchat & Google Plus. 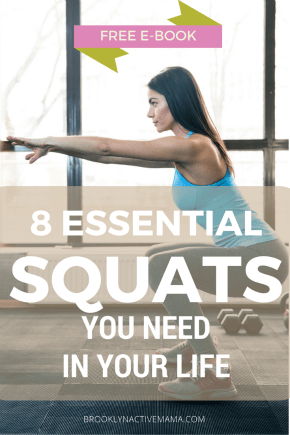 -->Facebook Group!<-- Join The Women Prioritizing Fitness Facebook Group for fitness tips, tricks and motivation! And just guess what my blog pits tomorrow is about? I love yoga but I often find it hard to fit in a whole session. I try to add in a few yoga moves to my barre and pilates classes and I do a lot of yogi instagram challenges to keep me doing at least one move a day. I constantly see classes aimed at runners because it is such a good balance for cardio. I haven’t seen these ones before though! It’s so worth it to be doing yoga while you’re training, Nellie! It really makes a difference. Right now I do one class with Baby T a week (which is basically a couple do sun salutations and a few warrior poses, in between the nursing and the changing and the burping etc etc!) and maybe a 20 min class from YouTube (totally checking that one you shared out!). Once I’m less tethered to this little one, I want to commit to one real class a week and at least one practice at home every week, too. Thank you Nellie for sharing my posts!! When I first started reading this I instantly thought of Christine. Turns out so did you! I’ve never done Yoga but I can tell you that I’ve been recommended it a lot. Tamara recently posted…Little Remedies Helping You On the Go. Thank you for the mention – they are definitely my go to poses for running. Live Love Surf is a fantastic blog! We don’t do yoga around here, but I completely agree that it’s important to make sure you get some good stretching and other types of strength training in while training for a race! You can add a link to follow you on twitter if you put your username in this box. Hi, I’m Nellie. Welcome to my space on the web where I share fitness, running, parenting and travel tips. I am a busy Brooklyn born and raised NYC mother of 3 (2 boys, 7 & 10 and a newborn baby girl) who loves endorphins and living my best life. Stick around and get comfortable, I’m so happy to have you here. Star Wars Rival Run Weekend 10K Recap: I Finished. Join the Women Prioritizing Fitness Facebook group for fitness tips, encouragement and motivation! Send Me My Free E-Book!